We all dream about the day we can retire and benefit from a lifetime’s hard work. Social security should make that possible, but its rules are so byzantine that investing in risky stocks seems like an easier deal. Get What’s Yours (2015) walks the reader through America’s perplexing social security system and explains everything you need to know to get the guaranteed benefits you deserve. 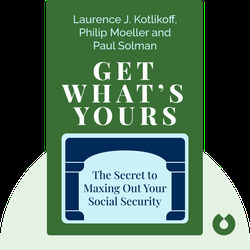 Laurence Kotlikoff is the president of a financial planning software company called Security Planning Inc. and professor of economics at Boston University. He is also the author of multiple bestsellers. Philip Moeller is a journalist and research fellow at the Center on Aging & Work at Boston College. Get What’s Yours is his second bestseller. 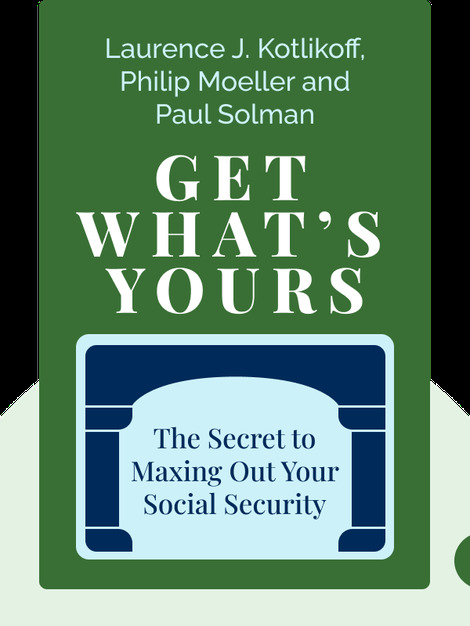 Paul Solman is a long-time business and economics correspondent on PBS’ NewsHour and a professor at both Yale University and Gateway Community College.